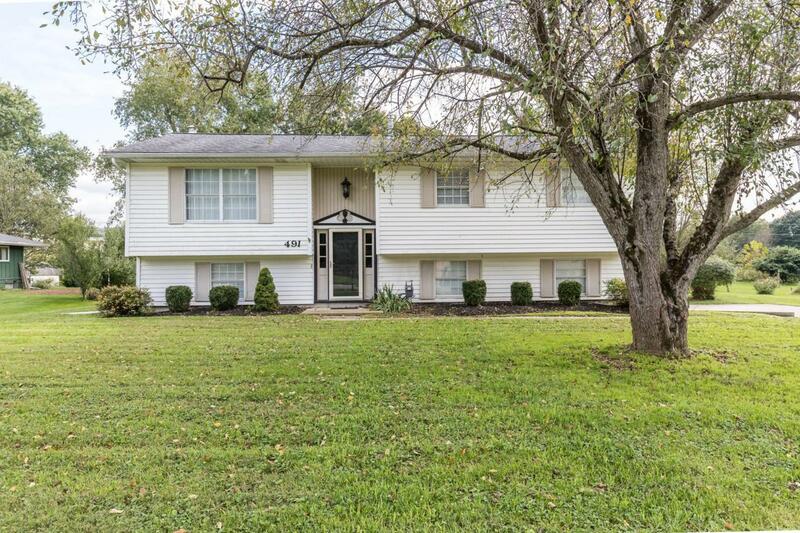 Well cared for 4 bedroom 2 full bath home located in North Newark. This home offers a living room, dining room, fully applianced eat in kitchen with island. Microwave and electric range are new. Kitchen has newer wood floor. 3 bedrooms and 1 full bath, all of this on top floor. Lower level has full size family room, 1 bedroom with 2 closets and 1 full bath with shower. 2 car attached garage. Walk out the kitchen to a 2 tied deck to the large backyard with storage shed. Plenty of parking in driveway. Furnace 2 yr old and roof 5-6 yr old. Lower level laundry. Walking distance to Hillview Elem, Newark City bus pickup for Middle and High School is right in front of house. Close to dining, golfing and entertainment. House has city water and a septic tank. Water well still available.